This patch adds 10 new weapon orb acquisition events to the game such that you will be able to upgrade all weapons to level 9 after completing the Pure Land before visiting the Mana Fortress. 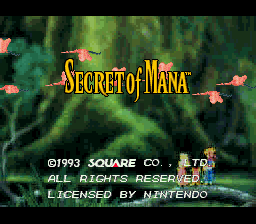 This resolves a number of frustrating quirks in the original game. 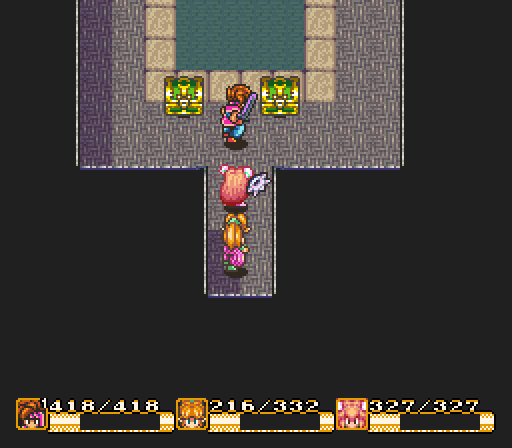 For instance, in the original game by the time you reach the Mana Fortress, despite the fact that there are 9 versions of each weapon, there are only enough weapon orbs available to upgrade your weapons to level 8, except for the glove and axe which are even more frustratingly stuck at 7. 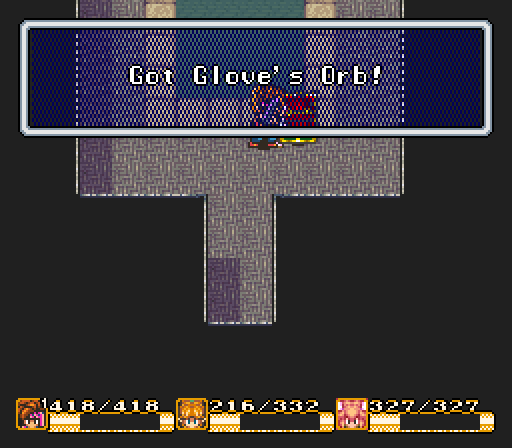 In the original game you can farm the missing orbs in the Mana Fortress by defeating various monsters, but because they are rare drops, it takes an eternity to do so. 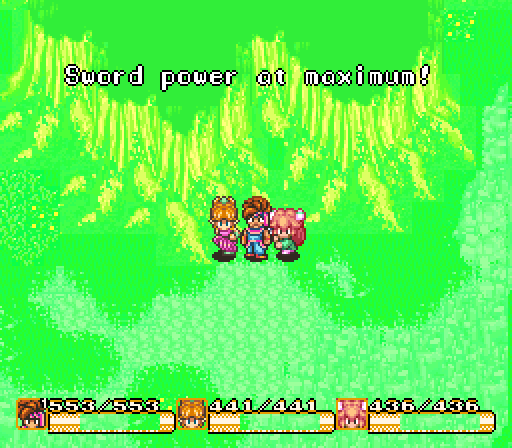 And even if you do so, that still excludes upgrading the sword to level 9 (without exploiting some well-known glitches) because the game was hardcoded to only let you have the fully powered Mana Sword for the final boss fight once it is “activated” by the Mana Magic spell, allowing you to use it at full power for only a frustratingly short amount of time. The spear orb chest in the Gold Tower is now a whip orb. The Thunder Gigas will drop a spear orb instead of a sword orb. When the Mana Tree dies, it will give you the 9th sword orb. The 50gp chest in Potos village is now 1000gp to help take the edge off the faster weapon upgrades. The cost of upgrading weapons is now half of what it is in the original game. If you want to combine this hack with zhaDe’s Gameplay Improvement Hack, you must uncheck the “No Missing Orb” option (if it is available in your build), as this hack supersedes that option in that hack. More detailed charts of the changes to the ROM in this patch are specified in the README.